Online Hotel Booking System is powerful booking engine for single hotel. 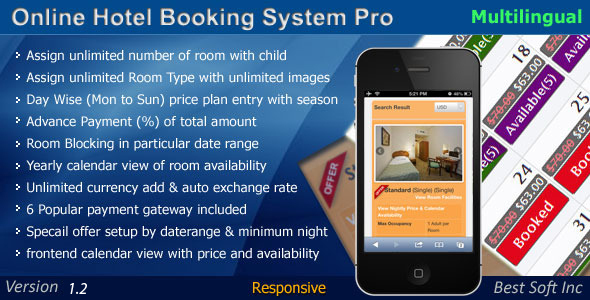 Powerful hotel reservation system with real time availability and room booking functionality. You can easily integrate with your website or new template. You can manage room, room types, capacity, hotel rates with different date range and month wise advance payment feature. Online reservation manager at the back-end with invoices.